Newport Beach, CA - AVP America, the largest grassroots outdoor volleyball organization in the United States has announced Sport Pins International Inc. (SPI), as its Official Awards supplier. Under the terms of the partnership, SPI will provide medals for the AVP America program, including beach and grass volleyball events nationwide! "SPI is excited to become an official partner of AVP America," said SPI Director of Sales, Jeff Bivens. "We are proud to serve AVP America and are excited to expand this relationship. We look forward to helping each promoter, tournament and club anyway we can through our great products, outstanding graphic designs and customer service." SPI is offering AVP America Promoters an exclusive deal on quality medals for the 2019 season! For more information on SPI, please visit www.sportpins.com. ÓFor more information on AVP America, please visit www.avpamerica.com. SPI born in 1980, was the vision of Connie Bivens. She turned her enthusiasm for youth soccer (and her sons’ Jeff and Mike’s teams) and a personal hobby of pin collecting into a home-based business. In January of 2006, SPI moved into a new 7400 sq. ft. office and warehouse facility in Upland, CA. SPI has offered its customers the finest quality awards in the industry for more than 35 years. SPI offers a full range of award and recognition products including pins, medals, coins, bag tags, decals, magnets, laser engraved wood, crystal, or acrylic products, plaques, trophies, silk-screened t-shirts, soccer balls and a number of additional customizable products. 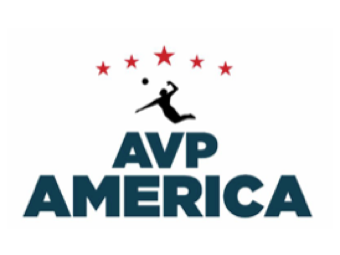 Formerly Volley America, AVP America (AVPA) was created in 2018 upon its merger with the AVP. AVP America serves as the amateur/recreational programming of the AVP. AVPA is an organization that sanctions outdoor amateur volleyball tours, leagues and clubs. The goal is to create a true National Ranking System, provide Promoter and Player Benefits and aid in the growth of beach volleyball at all levels. All events earn appropriate AVP Points.